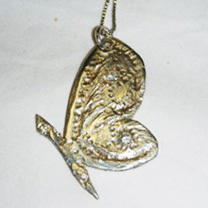 Anyone can make jewelry. It is the unique and different beads that make one’s jewelry stand out to others. I sell findings that one cannot find elsewhere because they make a big difference. 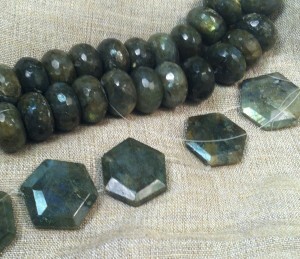 The same beads with different findings give it a whole new look. They make each piece a little different. 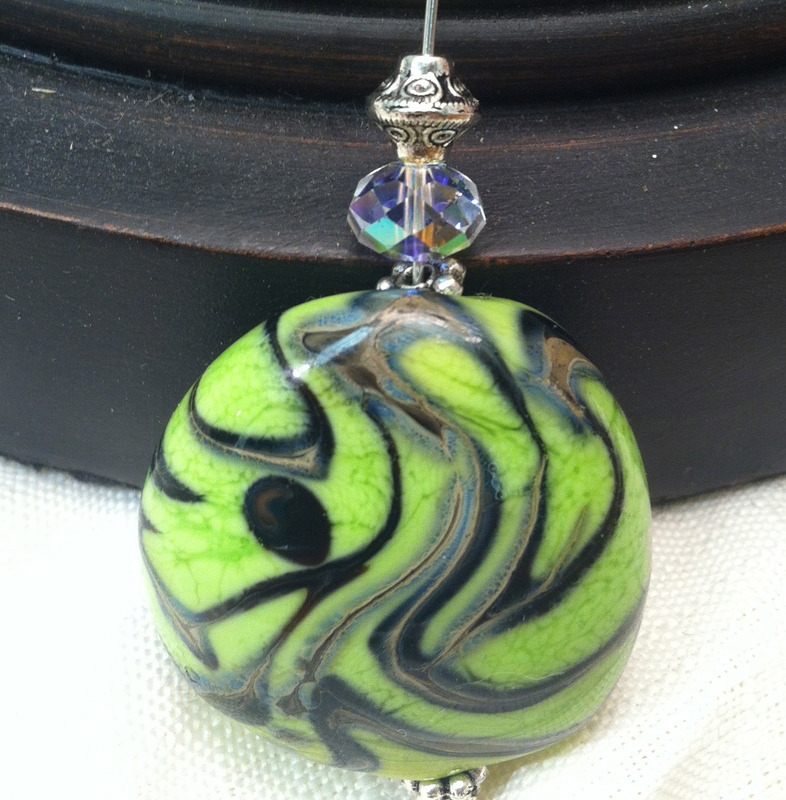 I am in LOVE with lampwork beads because they are the water color palette to the jewelry making world. You can find beads in all sizes and shapes, but most especially, you can find them in multiple colors and in watercolor like designs. 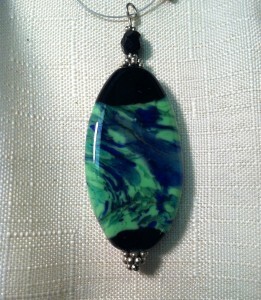 Every earring I made with a lampwork bead made by Jaci Sinkewicz sold. Every pendant I made with a bead made by Jen Hopkins was admired. I went to Jen’s Studio, The Artsake Gallery, on Rt 74 in Tolland to have one of my watercolor pictures framed. Because she is an expert in this with years of framing experience, she could suggest different combinations of mats and frames for different looks one could achieve. She suggested a cream mat to offset the white in my buildings in the painting. She has a variety of beautiful framing option from which to choose. Jen suggested a white washed frame which would have been perfect if the painting was for a beach house. My painting was of an Inn at Martha’s vineyard so her suggestion really was a perfect one. Despite this, I went with gold- because I am partial to gold (and diamonds- they are a girl’s best friend) frames and have other gold ones in my house. 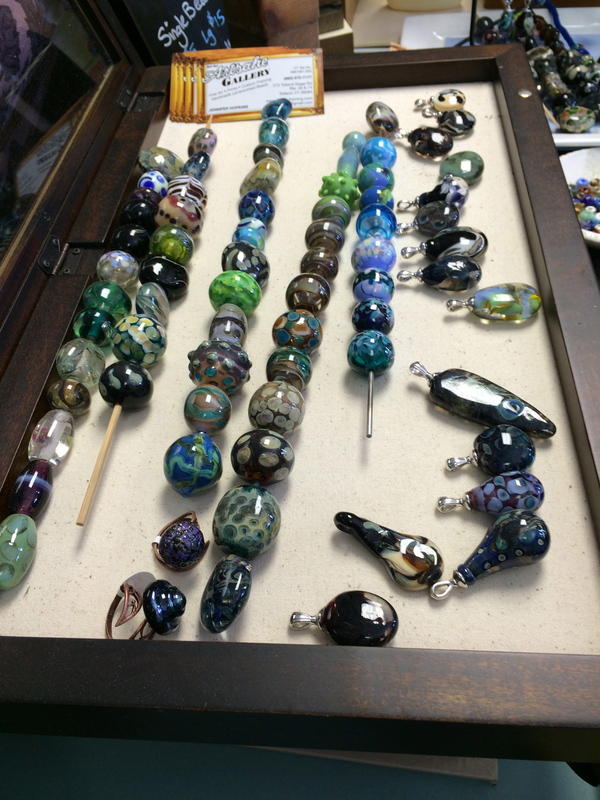 While there, I saw lampwork beads in front of me by the register. I saw a rainbow of sorts dazzling my eyes….. especially because once there, the lampwork pendant size beads only cost $5 to $15 and I saw the same things at a bead show in Philadelphia for $30-$50. I left with two beads and held them in my pocket like magic beans. You can find handmade lampwork beads anywhere in Connecticut. I found more at Jen’s framing shop (The Artsake Gallery, RT 74 in Tolland) by the register, but anyone on the Lampwork Association listing will have them as well. begins tonight with an Art Stroll from 5:30pm to 8pm. Join us for artist demonstrations up and down Main Street. There will be a strolling puppeteer. At The Silver Chest, we will have master painters Zaigham Ali and his father, Mr. Ali, painting again using acrylics. Singer John Lacey will be here to entertain us as well. All are accomplished artists. Tis the season to sign up and pay for craft fairs. We go hoping to make money. It would be good to make money. I need to cover the cost of my beads and beading addiction. It is imperative that one cover the cost of the booth. I have been accepted for a couple of handmade items only craft fairs…. then have been located next to someone selling items that are not handmade. They sell them for very cheap prices. Once, I was next to a man selling large hole beads for $2. The beads are manufactured in a far away land no less (obviously not handmade to the people running the craft fair). At another craft fair, a woman was selling manufactured bracelets that looked like ones sold by Fire Mountain Gems. She looked at some of my items and asked question that revealed her total lack of jewelry making knowledge. FMG was selling the bracelets for $2.50 reach, she sold hers for $9.99. She sold a lot, I sold a little. He stood there. I felt compelled to ask as a nice female, “What kind of pirates did you want?” I was thinking what size, shape, color. We had a discussion about clays, silver and plaster mold making. It was more me informing him and he looking like he was listening. I am not sure that he was listening but I am sure that he could hear money falling in the background. He could see dollar signs as we talked. I had started to tell him that it is not so easy to make money unless you have economy of scale in production but I did not waste my time. He did not yet make anything himself. If he wanted to get rich selling pirates, he could figure things out for himself. In three years of selling other people’s art on consignment, I have never met a woman with such a focus on the dollar. This man was sure he could get rich making things and that is why he wanted to make things. Most of the women I meet like to make things and then wind up donating them or giving them away. “What’s that got to do with it.” It was a statement, not a question. Creatively, I want to make them. The problem of how has been working in my mind for a while. My first one was a disaster as I tried the silver clay paper- which has none of the useful qualities I associated with paper. The creative process evolves down a creative (and not so creative) spectrum. Our interest fuels motivation to work and try things (create), aided by creative problem solving which helps us innovate, as long as it is our creative desire to accomplish something. He kept talking. He had heard what I said, decided it sounded like a lot of work that he was not willing to do and wa-la!! He was going to get me to make pirates for him. I assume he was developing a plan where he could make money off of me! That is how he would get rich. I wondered how much I would make in that scenario in his head. Apparently, fools think no one else is as smart as them. He has no talent, no drive and not enough motivation to even make a prototype but he was sure that he could get rich. I marveled at his thinking. Why don’t more women think like that? I know more women with better ideas, better work ethic and talent.